Diseases of Swine has been the definitive reference on swine health and disease for over 60 years. 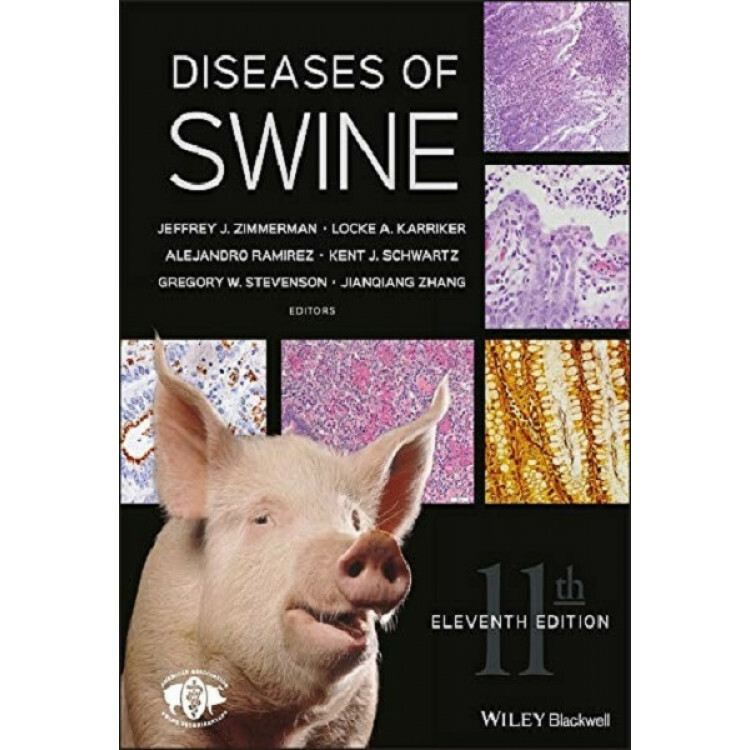 This new edition has been completely revised to include the latest information, developments, and research in the field. Now with full color images throughout, this comprehensive and authoritative resource has been redesigned for improved consistency and readability, with a reorganized format for more intuitive access to information. 1131 p.
Jeffrey J. Zimmerman, Editor. DVM, PhD, DACVPM, Professor of Disease Ecology in the Department of Veterinary Diagnostic and Production Animal Medicine. Iowa State University in Ames, IA (USA). Locke A. Karriker, Editor. DVM, MS, DACVPM, Professor of Veterinary Diagnostic and Production Animal Medicine and Director of the Swine Medicine Education Center. Iowa State University in Ames, IA (USA).